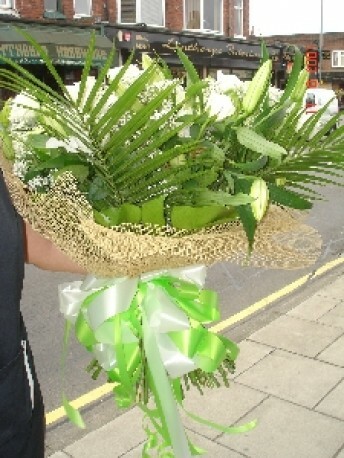 A stunning hand tied design of simply white roses, lilies and foliage. The florist creating your hand tied bouquet will use their discretion when selecting foliages to compliment your flowers to ensure you have the very best on the day! The bouquet pictured would be one of our luxury design.